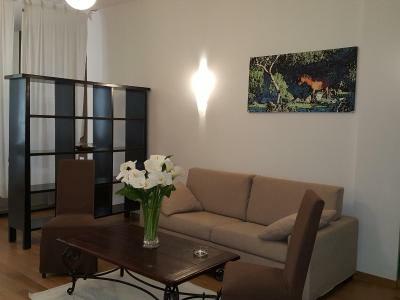 Lock in a great price for Le Suite Sul Corso – rated 8.9 by recent guests! Perfect location for exploring the city. Close to lots of bars and restaurants. Very helpful staff. Room was clean and very comfortable. Would stay here again! 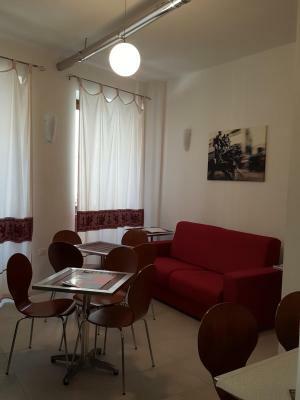 Perfect location, friendly and helpful staff, very nice and functional room. We made a dream true by following S. Efisio procession from the room balconies, it was just wonderful and touching. The lady on charge at the reception has been pretty nice. 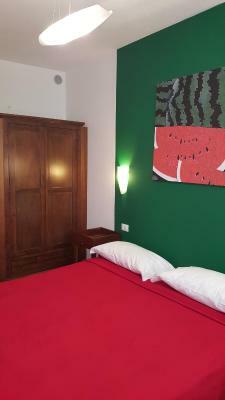 A wonderful Suite facing the main street of Cagliari, super clean and comfortable. The breakfast has been offered, even that was not included: they are not serving breakfast inside the property but instead as a present they gave us a voucher valid for Café Centrale (opposite the square). I suggest to call the reception before check in: we were arriving on a time that was supposed to be closed, but they kindly waited our arrival. Una suite davvero fantastica, dotata di tutti I confort, personale disponibile e davvero molto cortese, che e' riuscito a far fronte in maniera superba ad ogni contrattempo.... lo consiglio a tutti!!!! Dotata di sistemazioni eccellenti, eleganti e ben curati. Un ottima posizione. L' accoglienza a dir poco gentile e cordiale. Un ottima impressione. 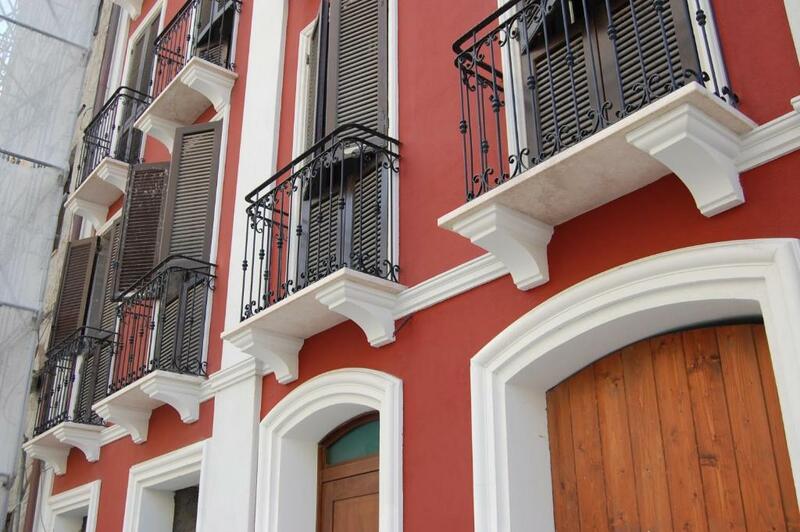 Offering ultra-modern accommodations with Wi-Fi access, pay-per-view TV and laptop safes, Le Suite Sul Corso is set in the heart of Cagliari's historic district, a 5 minute walk from the cathedral. All air conditioned, rooms and suites here come with hardwood floors and vibrant color schemes. They all feature a minibar, teakettle and a private balcony. CD and DVD players are available upon request. Le Suite Sul Corso is set in a historic building from the 18th century, which has been completely modernized. It is surrounded by some of Cagliari's most popular shops, cafés and restaurants. 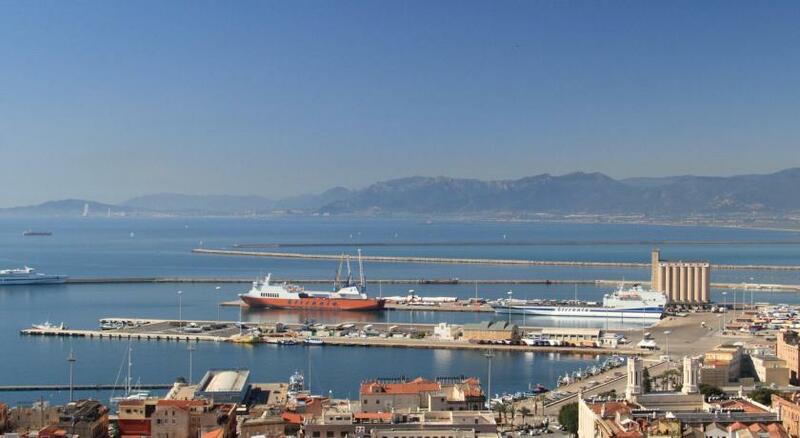 Cagliari port for ferries to Sicily and the mainland is just 10 minutes away by foot. Cagliari Airport is a 15-minute drive away. When would you like to stay at Le Suite Sul Corso? Features air conditioning and a flat-screen TV. Composed of 2 connecting rooms with one bathroom. Large suite with seating area and spa bath. A flat-screen TV, balcony, mini-bar, and desk are included in this air-conditioned room. House Rules Le Suite Sul Corso takes special requests – add in the next step! ATM card Le Suite Sul Corso accepts these cards and reserves the right to temporarily hold an amount prior to arrival. Le Suite Sul Corso accepts these cards and reserves the right to temporarily hold an amount prior to arrival. Guests are kindly requested to inform the property of their estimated time of arrival in advance. This can be noted by contacting the property using the contact details found in the booking confirmation. Please also supply a contact cell phone number. Please inform Le Suite Sul Corso of your expected arrival time in advance. You can use the Special Requests box when booking, or contact the property directly using the contact details in your confirmation. The Suite has a Iacuzzi inside and the room is pretty new. Is on the main street of Cagliari. How can you find a possible flaw?